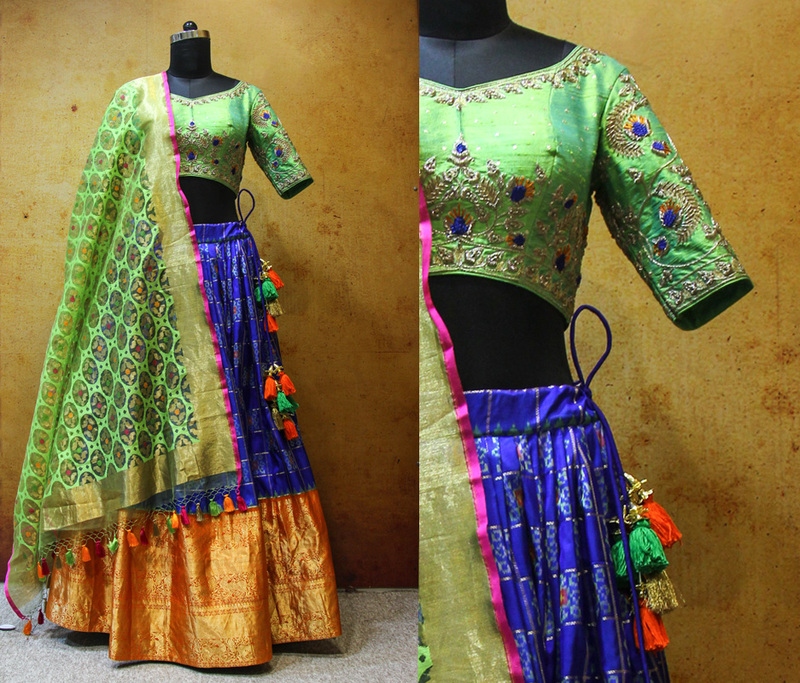 You must know the latest trend to go for an elegant lehanga choli instead of a loud one. You can always put lehanga choli with a heavy dupatta, which will shift the focus on your pretty face. Cut work borders, zari embroidery, shimmer, sequin work, mirror work and floral patterns on your dupatta will give you an ethnic as well as ravishing look. These days you have an option of picking your special bridal lehanga choli online too. This will save you from the tiresome efforts of wandering around in the markets searching for the perfect lehanga choli. You can see the features, colour, embroidery, designs and their details over internet. The good part is that most of the websites have good return policies also. So you won’t be wasting your money if you do not like the lehanga. The next important thing after picking your attire is choosing a beautiful way to wear it. You can drape your dupattas in different styles like front flow, classic saree drape, back U style, double sided drape and many other depending upon choice and body type. Fashion conscious brides must do a bit of research before picking their bridal wear. Going for a blend of traditional style with some elements of modern designs will be a wise pick. Pick the right lehanga choli so that your aura is mesmerizing and charming to make your wedding day the most memorable one.